Located at the heart of Boulogne’s forest and near Chambord Castle, Le Prieuré de Boulogne invites you to relaxation. Thanks to green landscapes and calm around it, you will enjoy a stay where nature and serenity make the perfect mix. 25 comfortable and particularly well-decorated rooms welcome you. They preserve the authenticity of the places and maintain a relaxing atmosphere that will make your stay a true moment of sweetness. Conform to your requirements, they are available in double rooms, twins, triple and even for families up to 6 people. Real haven of peace, some of our rooms are especially spacious (49m2). Only 15 minutes from the historic city of Blois and its railway station, 35 minutes from Beauval Zoo park and less than 15 minutes from Chambord Castle by bike, Le Prieuré de Boulogne offers you an easy access to main tourist attractions of our region. 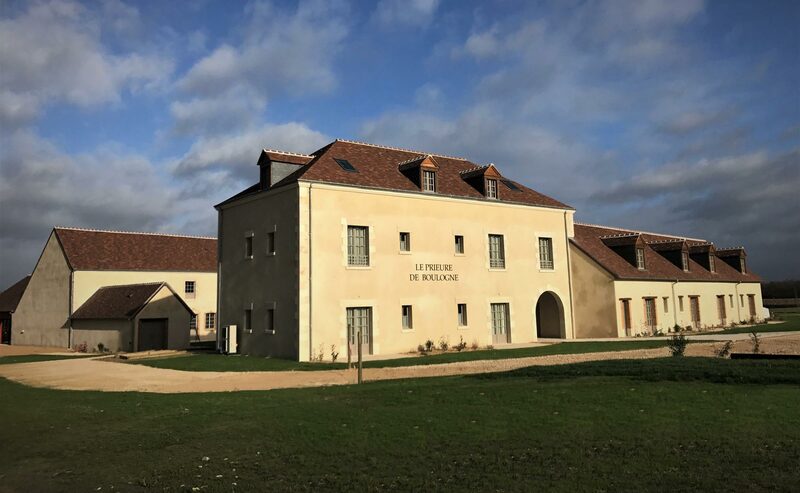 Authentic hotel located at the heart of the Loire Valley, Le Prieuré de Boulogne is an amazing place that offers you, many activities around it. For the organization of your conferences, seminars, weddings or any other private professional reception, we can suggest you our large reception room with a capacity of 100 people and a large terrace with natural and enchanting panorama. Our team is at your entire disposal to inform you about our rooms and our services.